The best way to use leftover candy? 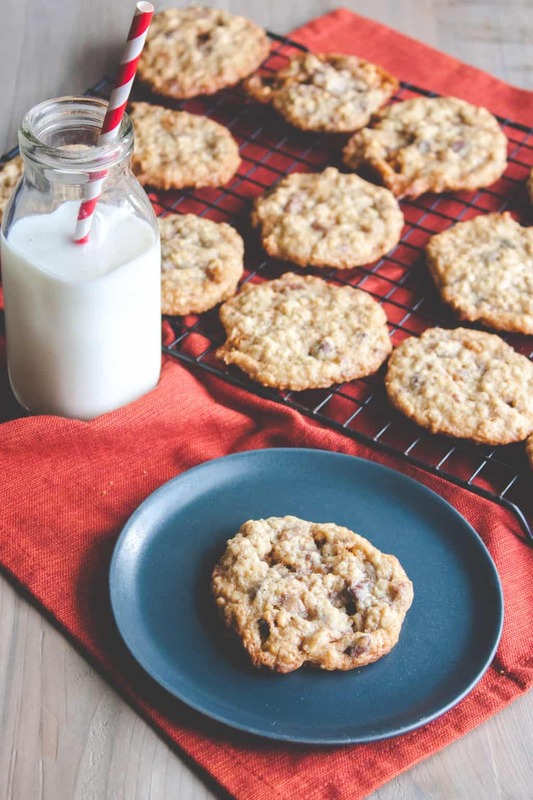 In these oatmeal chocolate chip candy cookies! 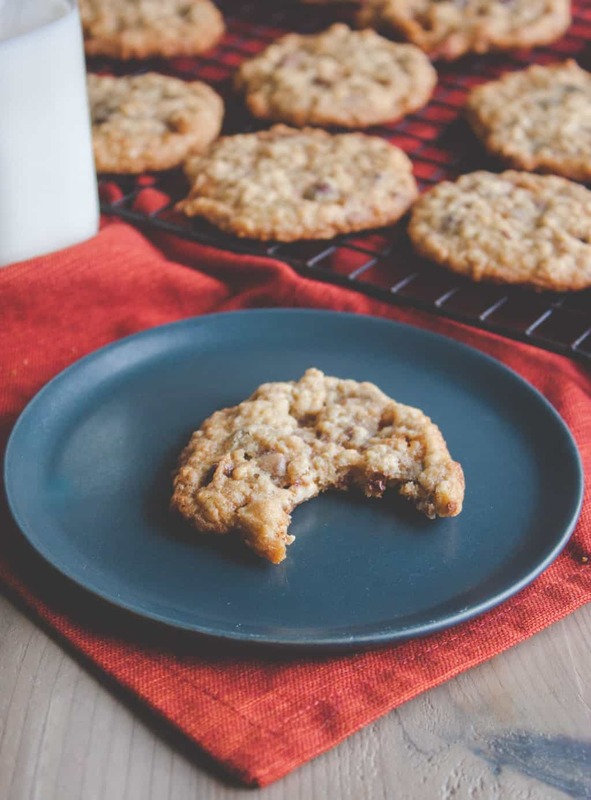 Soft and chewy, these oatmeal cookies are packed with chocolately goodness. Some of you might have some leftover candy from a certain holiday that just happened? Do you get into Halloween and dress up? Back to the cookies, these are super duper delicious and full of chocolate and candy, all nestled in an oatmeal cookie. You simply make the oatmeal cookie batter and then add in the chocolate chips and candy pieces, then bake and enjoy. Preheat oven to 350, line two baking sheets with parchment paper or silicone baking mats and set aside. In a large bowl with a hand mixer or a sand mixer cream together the butter, brown sugar and granulated sugar. Scrape down the sides of the bowl with a spatula, then add in the vanilla extract and beat until combined, scrape down the sides again. Now mix in the dry ingredients - baking soda, baking powder, salt, oats and flour and mix until incorporated. Next you're going to chop up the candy, you can do so by pulsating it for 5-10 seconds in a food processor or chop up the SNICKERS and Heath bars with a knife, just make sure that the candy is in small pieces, no bigger than the chocolate chips. Add the candy pieces and chocolate chips to the cookie batter and stir with a wooden spoon until incorporated. 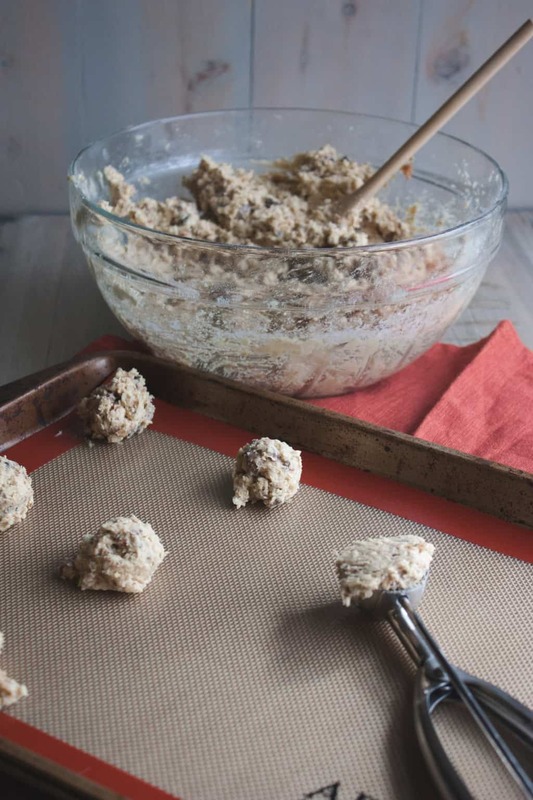 With a cookie scoop or a tablespoon form balls of cookie dough and place 2 inches apart on a baking sheet. Repeat until cookie sheet is full and then slightly press down on the cookie balls. 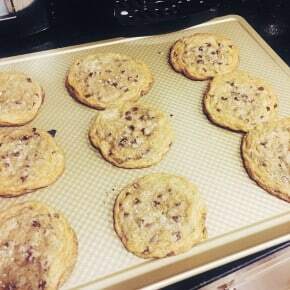 Bake for 10-12 minutes or until the cookie edges start to brown. Remove from oven, let rest for 10 minutes, then transfer to a cooling rack and allow to cool. Repeat making dough balls and baking until all the batter is used, then enjoy! 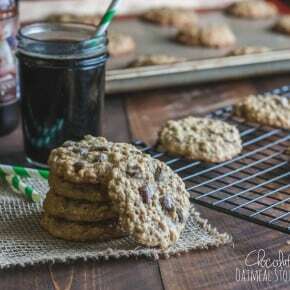 Oatmeal Chocolate Chip Cookies ... Best EVER! Haha, just joking. This looks like a great way to use up leftover chocolate if you have some. Totally healthy 😉 you know, I was going to write something about that since they had oatmeal, they were healthier lol! Only 5 trick or treaters? I must say I’m a little jealous, here we get hundreds, and while it’s super cute and all…it’s constant door bell for 4 hours, but I can’t complain too much, this year my hubby totally helped out instead of leaving me to fend for myself and hand out all the candy. I’m lucky we get extra candy from my inlaws because I don’t know how much ‘leftover’ candy there would have been, and these cookies just HAVE to be made, right? It must be a bake-off season:) Your cookies are a WONDERFUL idea to use leftover candy. Countless variation can be made with this recipe, what an excellent idea dear Phi! We don’t celebrate Halloween here (even though in the last couple of years some clubs/restaurants do have a Halloween theme, influenced by US TV series/movies), but we do have Apokries, which coincides with the Brazilian dress-up of the Carnival. It’s a remnant of the Dionysus festivities we used to have here in the ancient times. But it’s mostly a celebration for kids, as we imagine is also the case in the States. 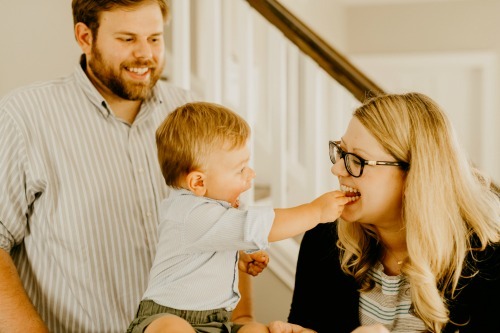 You guys look adorable together in the photos! :) You must’ve had so much fun! Thank you so much for your comment, and you are so right, fall is baking season, and there are countless variations that can be made with this recipe – any chocolate you have would work great in this recipe! And I’m going to look up Apokries, sounds like a fun celebration!! Thanks so much girl 😉 What’s better than cookies with candy, right? 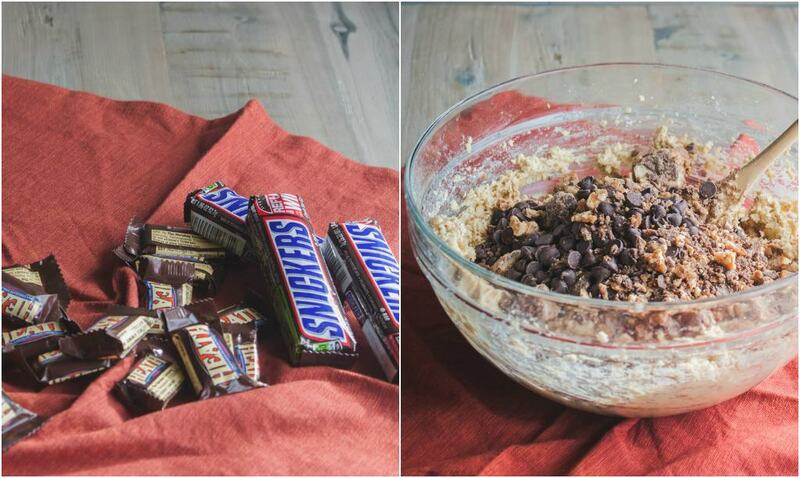 Delicious recipe for using up all your leftover halloween sweets! These cookies look delicious, Phi! You guys are the cutest!! such a smart idea for cookies. Oatmeal cookies are my absolute favorite. Love the halloween candy twist on these!! Aw love your Halloween photos. Any excuse to use up my Halloween candy is appreciated. These cookies look super yum!